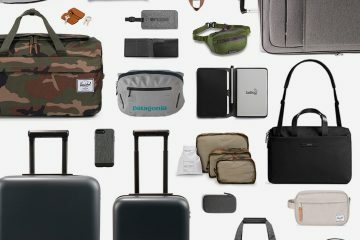 Introducing: Eagle Creek NZ wide at luggage.co.nz! Eagle Creek is our newest brand to arrive at luggage.co.nz! A well-known brand, Eagle Creek provides sturdy and durable backpacks, wheeled duffles & backpacks, luggage and packing cubes. For organised travel, check out Eagle Creek NZ wide at luggage.co.nz! Enjoy free shipping and 100 day returns, on us. An absolute must-have for the organised traveller, Packing Cubes are a go to! We couldn’t recommend Eagle Creek’s Pack-It range more – they’re lightweight, durable and so handy! Choose from compression cubes, regular packing cubes and sets including shirt folders. Brightly coloured and super functional, you can’t go wrong with Eagle Creek’s selection of Pack-It cubes! Shop the Eagle Creek Pack-It Packing Cube range starting at $19.00 here! Starting at $349.00, Eagle Creek has a wide range of luggage with plenty of different features to make travelling simpler! The range of suitcases are all softside, some with two wheels and some with four. The durable, rugged-look cases are sure to travel the distance, with different sizes and colours to suit everyone! Shop the Eagle Creek Expanse Upright 55cm Carry-On Softside Suitcase & the Eagle Creek Expanse AWD Softside Spinner Suitcase range here! The Eagle Creek Expanse Convertible range is a great option for the diverse traveller! Whether you’re off backpacking around Europe or just off for the weekend, this versatile range from Eagle Creek is sure to suit. Transform the wheeled suitcase into a backpack with the hassle-free, zip-away backpack harness! Shop the Eagle Creek Expanse Convertible Wheelie Backpack range here! For those who love travelling with a wheelie duffle rather than a suitcase, Eagle Creek has a large selection to choose from! All wheeled duffle options have tons of handy features to help you while on the road. Perfect for rugged outdoorsy trips! Shop the Eagle Creek Load Warrior II 56cm Carry-On Wheeled Duffle, Eagle Creek ORV Trunk II 92cm Wheeled Duffle & Eagle Creek Gear Warrior II 81cm Wheeled Duffle, at luggage.co.nz! Another super versatile choice within Eagle Creek’s wide range of bags, the Load Hauler Expandable Backpack is truly for the adventurer! The rugged backpack has all the features to provide you with hassle-free, organised travel. Wear it as a regular backpack or attach the shoulder strap to carry as a duffle. Shop the Eagle Creek Load Hauler Expandable Backpack here! Shop Eagle Creek NZ wide with free shipping and 100 day returns at luggage.co.nz!